There is a saying in business and that is a business is only as good as its staff. Whilst that rings true and is no exception here, the same rule also applies to the products that a business sells. Ecoelectric carefully select and use a range of products aimed at meeting both quality and price point expectations. We have a number of supplier agreements in place and only deal with manufacturers that can offer proven service histories with warranties we can all trust. If your solar system costs half that of its nearest competitor, then chances are it consists of products made by companies offering 25 year warranties based on 5 years experience. Chances are the equipment has been directly imported leaving all warranty obligations with the seller, whom more often than not hasnt been in business for more than 5 years either! A system is only as strong as its weakest link. Got great panels and a shiny red inverter? Great. Was that Sikaflex they used to seal your now leaking roof or a tube of over rated gel? Galvanised or stainless fixings as standard or rust prone zinc plated screws? If water gets into your electrical system it wont matter where the inverter was made, or what color the box is. All that will matter is that someone sold you a system with a point of failure. Ever had problems getting service and or warranty out of your solar retailer? Ecoelectric fields two or three calls a week along the lines of, ‘Our inverter is broken, the retailer doesnt answer the phone and the manufacturer no longer exists.’ Does your retailer have a strong relationship with its manufacturers? Have their staff received product training, or are they just there to hang a box on the wall? Can they tweak complex settings and maximize your production? We have a very large library of suppliers with very close ties to several key manufacturers. 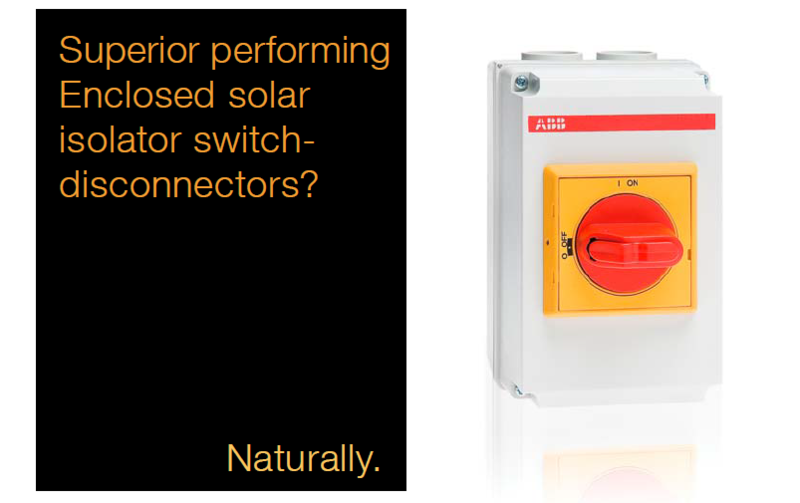 Ecoelectric are an ABB low votage products partner. We undertake specialist product training directly with ABB, and have direct communication channels with their product and service departments. This allows us to specialize in ABB inverters and KNX building automation with the certainity that we have a company with 125 years experience behind us.